Managing a small business organization on your own can be tough, especially when you don’t get the profit as you expected. Not having enough cash flow in a small business can lead to high-interest debt. However, there are some other reasons your business can fall into debts like poor management, sudden expansion, theft, and accident. Your small business debts could be quite traumatic when your company’s earning isn’t sufficient enough to envelop its liabilities. However, prevention is always better than cure. Thus, you should be aware of some tips to avoid business debt. Most of the entrepreneurs take out huge business debt to cover business expenditures, which is wrong. You should try to reduce expenses wherever possible by buying sensibly, arranging cautiously, and executing as much work as you can, on your own. The money you borrow to establish a new business should connect with your awareness of your particular industry and your intensity of knowledge. In case you have a strong business background, you can borrow as much funds as you require financing your venture. It will provide a suitable plan to pay the money back. When you do not know much about the business you are establishing, borrow only as little as you can. The lesser expensive mistakes you commit, the lower debts you’ll be required to pay. When you borrow funds for your small business, do it for the appropriate reasons. Utilize your line of credit or business credit card to purchase equipment for conditions when your transactions are considerably certain. If your business sells lots of items on rainy days and you foresee an approving weather forecast, be sure you have sufficient product at hand to cover the likely demand. If you have to borrow fund, make sure to pay back the rented sum immediately after you have sold off this stock. How can you get your business out of debt? If your business doesn’t get the profit as expected, then debt can spiral out of your control. The more the debt amount, the greater interest you have to pay off. Due to the huge debt, you may have to shut down your business. So, you should find out some solid ways to get your business out of debt. 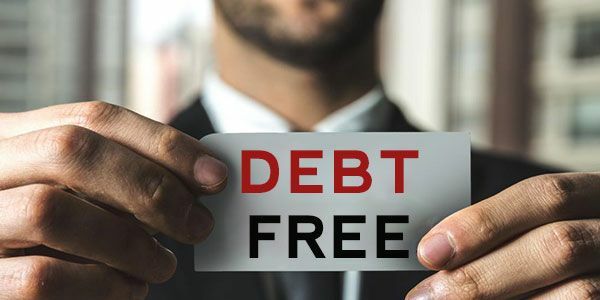 Just like a consumer credit counselor, who helps a consumer to reduce the total amount of debt by following certain budgeting techniques, the commercial debt counselor will also help you to repay business debt. They will assess the present financial situation that the business organization is going through. The counselor will also advise you good money management techniques. It will help you to repay the business debts without seeking professional help. They can also suggest you a third party expert who can look into the areas that are lagging behind. If your business debts spiral out of control, you can opt for commercial debt settlement. The debt consultant will negotiate with the lenders and the creditors and attempt to lower the principal amount that your business owes. If the creditors find your financial hardship is believable, they will forgive a portion of the amount and facilitate the debt repayment procedure. However, the personal credit score of the business owner will also be hampered due to the decision of settling debts. This is not as easy as taking out a personal debt consolidation loan. You have to shop around to take out the loan with the best interest rate so that the monthly payments are not so high for the business organization. You can take out a debt consolidation loan to consolidate all your business debts. You can repay the loan through single monthly payments and forget the hassles of remembering multiple due dates on multiple loans. You should chase the clients for the payments. Send reminder emails or meet in person for the money. When your business is not running well and in huge debt, you should try to get a loan that comes with low or no interest. You can borrow a personal loan from your relatives or friends. It will help you to mitigate the business debts first. Once you get back the good financial health, you can repay the new loan. Lastly, if you think you are unable to run your business, then take the required precautions before falling into huge business debt. To finance your business, you can explore another business lending option like taking out a P2P loan. Once your business starts earning well, you can easily pay off the money. Moreover, the interest is also relatively low. You can also continue your full-time job while maintaining a side business. It can help you to manage cash flow, if required.